Five years after the United States decleared war on Afghanistan the country has made progress while other things remain unchanged. Instablity in the southern part of the country, corruption and warlords lammenting their new diminished roles in society threaten to again destablize the Afghanistan. The Americans have spent billions to prop the county but the battle in Iraq is draining attention, money and troops away from Afghanistan. 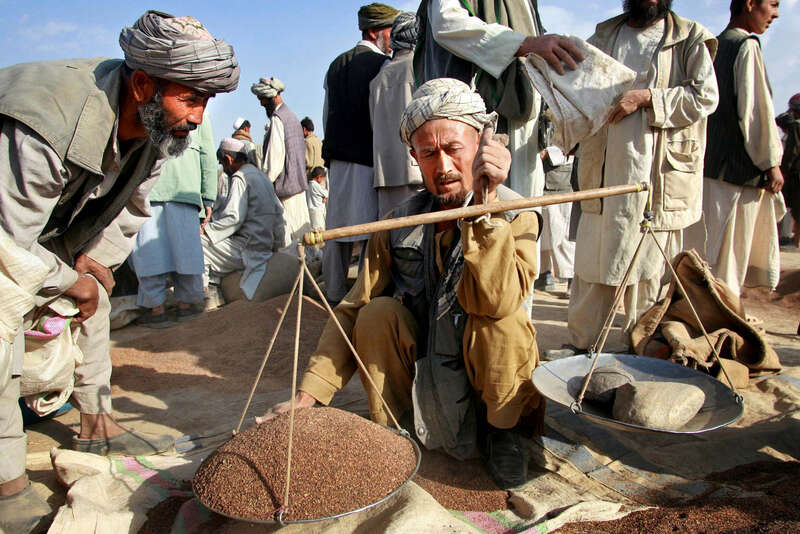 Afghanistan Five Years Later-Scales--Simple scales are still in use during market day as life continues as it has for a thousand of years in Dasht'e Qal'eh in Northeastern Afghanistan. The relative stablity of the last five years have helped to grow the size of the markets the variety of items available.